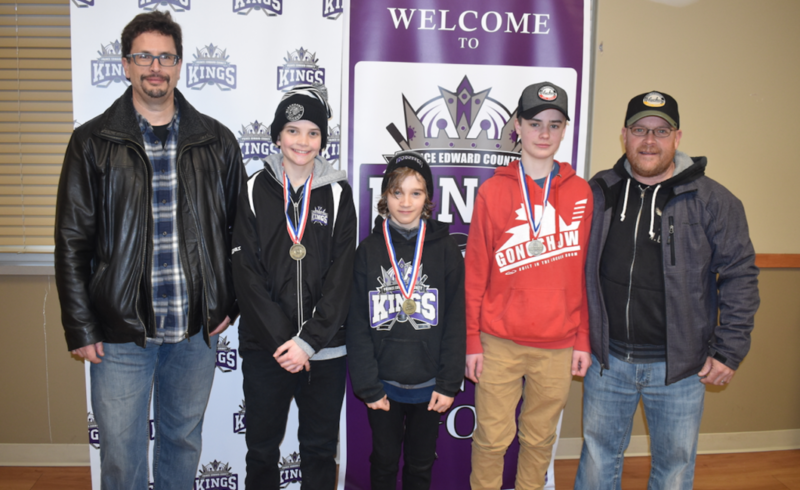 For hundreds of dedicated Local League hockey players in Prince Edward County, over five months of games and practices finally came to fruition Mar. 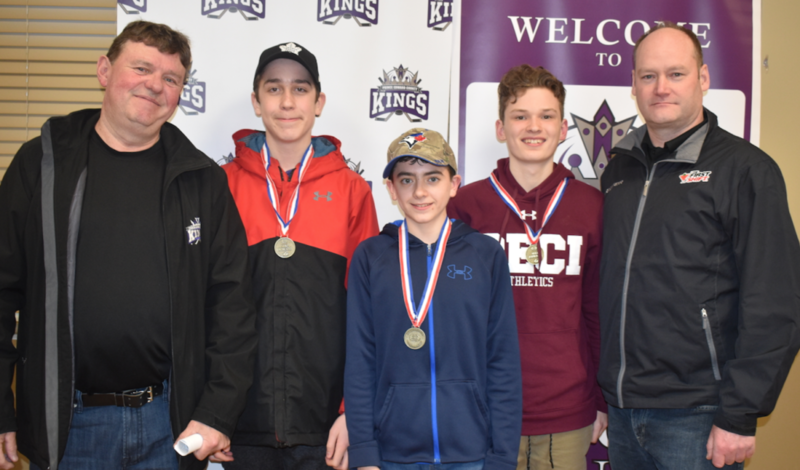 30 as the Prince Edward County Minor Hockey Association hosted its annual County Championship day, the culminating event of the 2018-19 season. 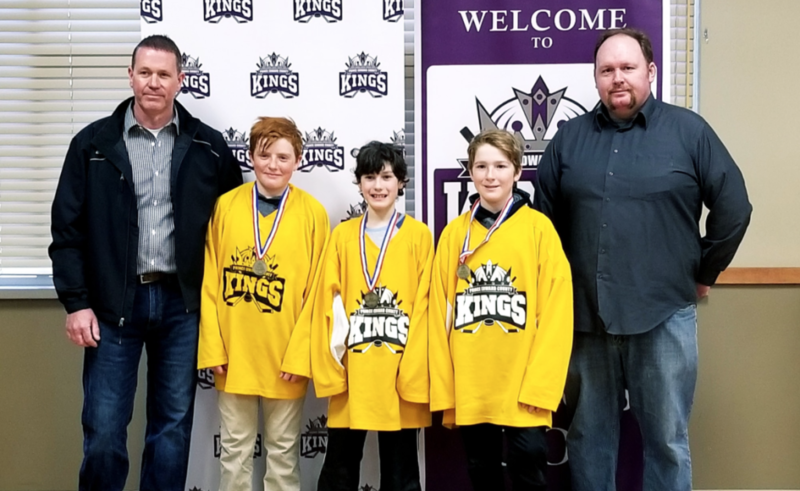 “We are so proud of all of our teams, our volunteer staff and our parents for representing the Prince Edward County Minor Hockey Association so well this season,” PECMHA President Steve Payne said. 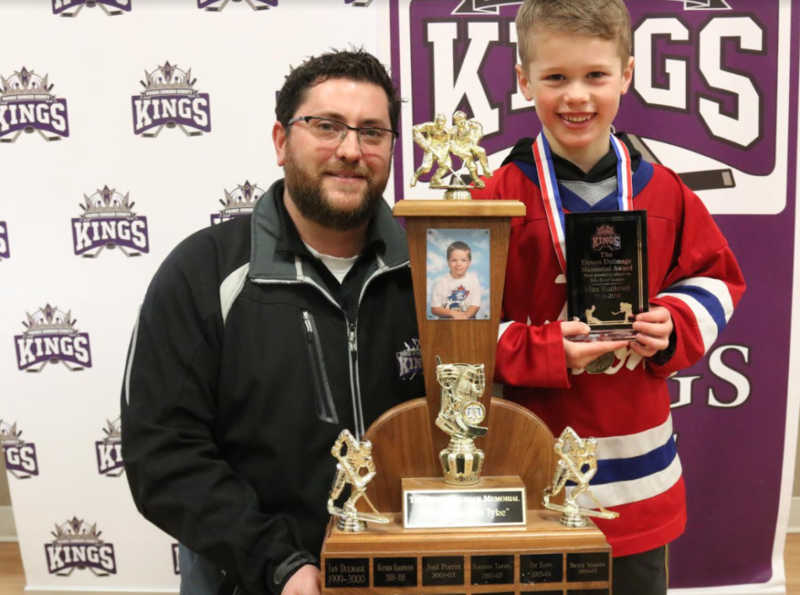 After the local league clubs from the tyke to the midget ranks faced off, PECMHA handed out the annual Esso Awards of Achievement as well as some special awards for individual players and coaches. 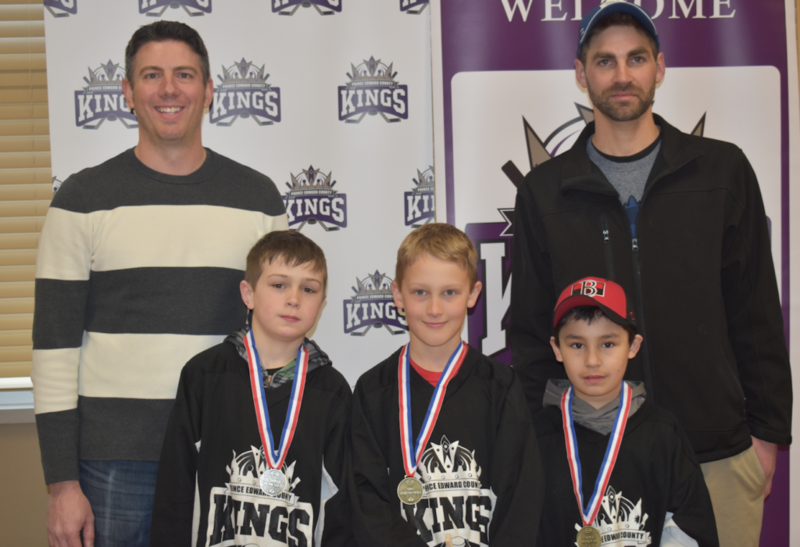 Tyke One-Hudson Scanlon (Most Dedicated), Nathan Howe (Most Sportsmanlike) and Robbie Watson (Most Improved). Tyke Two- Max Bucknell (MD), Claire Lavender (MS) and Conner Simmons (MI). Max Bucknell was also presented with the Devin Dulmage Memorial Award as most promising tyke player. 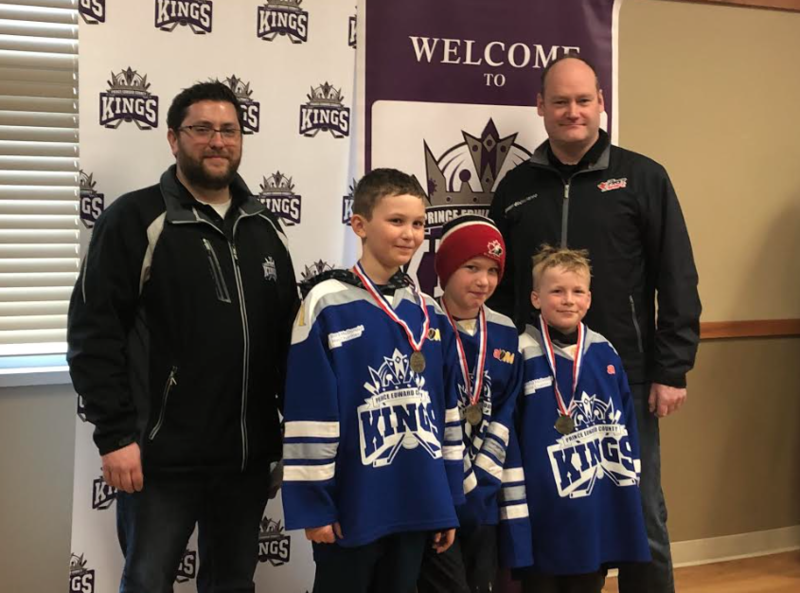 Novice Prinzen Kings-Jack Thompson (MD), Harvey Lough (MS) and Liam Scanlon (MI). Atomc Blue- Jaydon Hass (MD), Drew McCabe (MS) and Porter Hymus (MI). Atomc Orange- Marshall Kingma (MD), Owen Denouden (MS) and Austin Raycroft (MI). 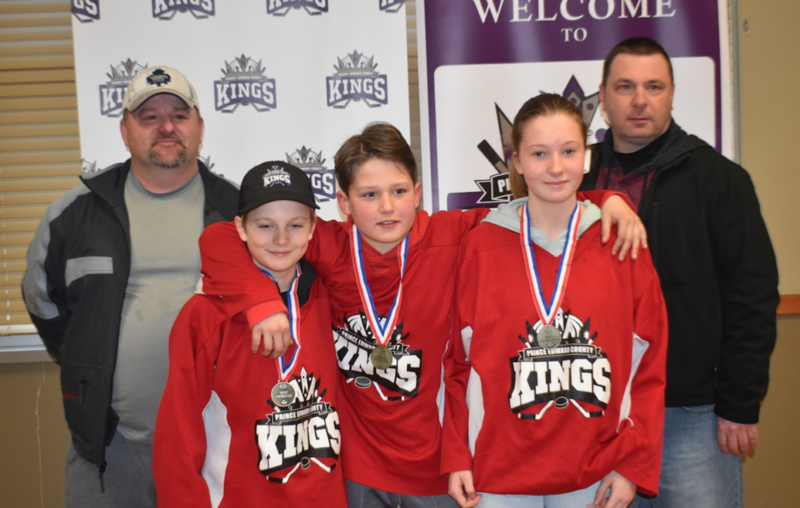 Pee Wee Scotiabank- Draeden Hymus (MD), Grace Werkhoven (MS) and Josh Vader (MI). 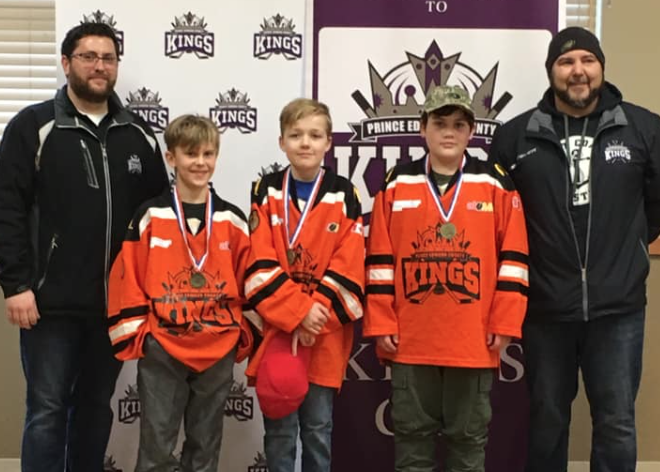 Pee Wee Kinsmen- Alex Pickle (MD), Lucas Hicks (MS) and Tyler Mowbray (MI). Bantam Sobeys- Parker Philip (MD), Christian Payne (Ms) and Ben Wiese (MI). Bantam Scotiabank- Lucas Algar (MD), Nic Foster (Ms) and Quinn Fisher (MI). Elijah Cole Memorial Award- Bruce Reynolds. 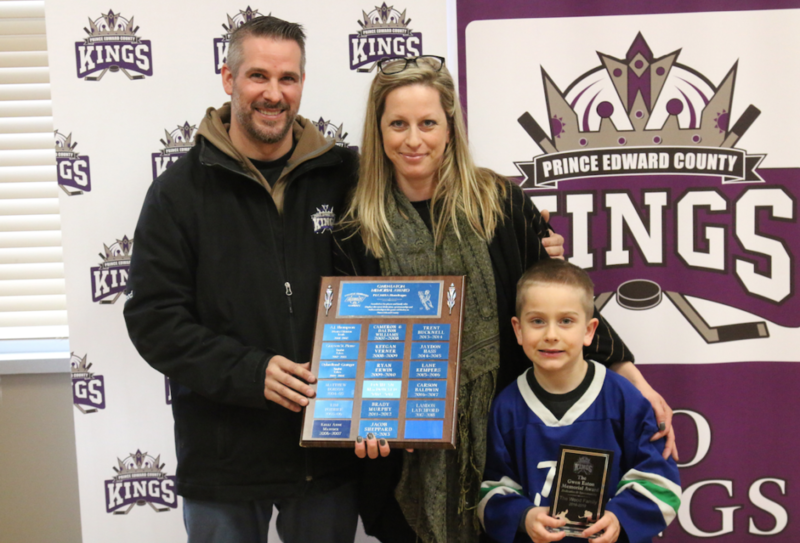 Gwen Eaton Memorial Award- Rob and Teal Wood. Bruce Barrett Memorial Award- Kristin Terpstra. 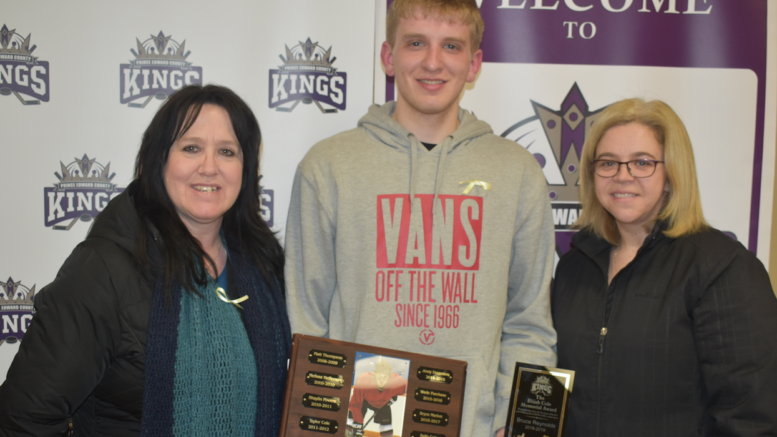 PECMHA Volunteer Award- Ben Cowan. Don Wight Memorial Local League Coach of the Year- Greg Valleau.